Box City Vigil is back once again this year! 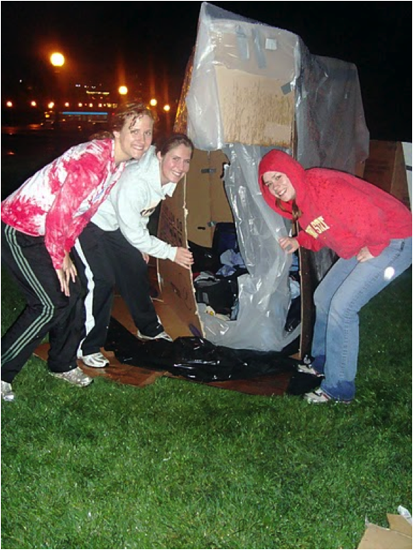 From May 20th to May 21th, 7:00pm - 7:00am, participants will stay overnight in boxes to raise money for youth homelessness. This is an awesome opportunity to spend a night outside with friends, listen to entertainment, grab some yummy food and even experience Bloomington's BEC-TV host their late night call-in show: 'YRU-In a box'. 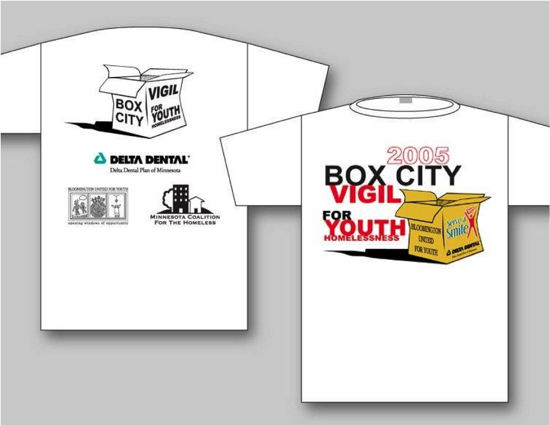 Admission to Box City Vigil is $5, or for $15 you'll get admission and a T-Shirt. Please find a registration form to the right side of this page, or Bloomington Jefferson & Kennedy Students can find their registration information at their respective schools. 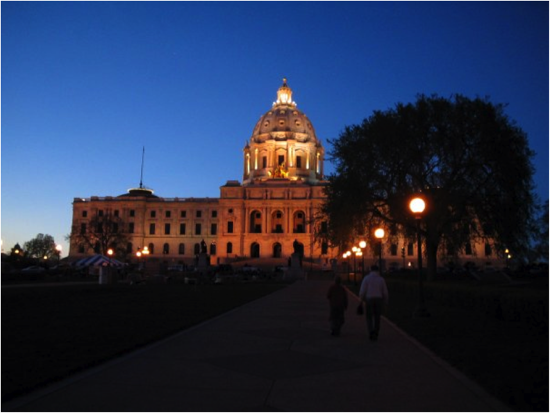 On any night in Minnesota, 2,500 youth and young adults are homeless and on their own. 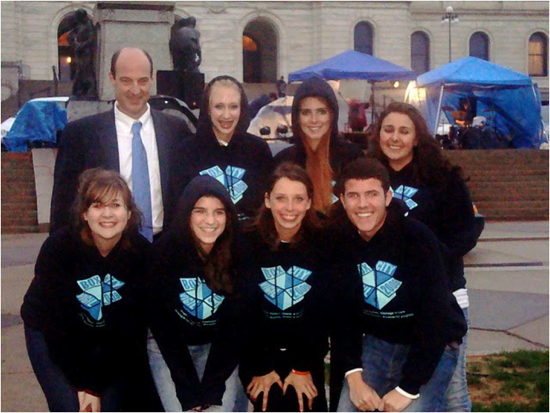 More than 10,000 young people in Minnesota (some estimate more than 20,000), experience homelessness every year. BUY supports the Box City Vigil, an effort to address this serious problem. 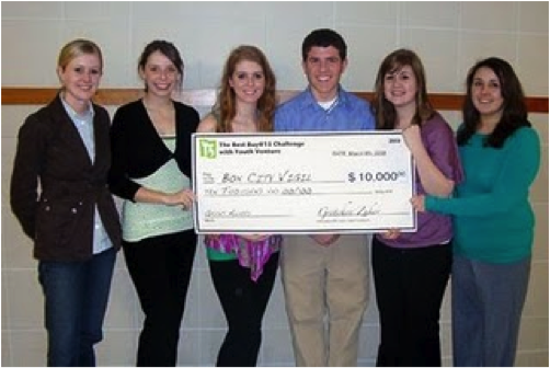 Six years ago, high school students came to a BUY board meeting with an idea for increasing awareness, raising money and maybe have some fun. The BUY board helped them turn this idea into reality. There have now been six annual Box City Vigils. The Box City Vigil is an annual event held each spring. 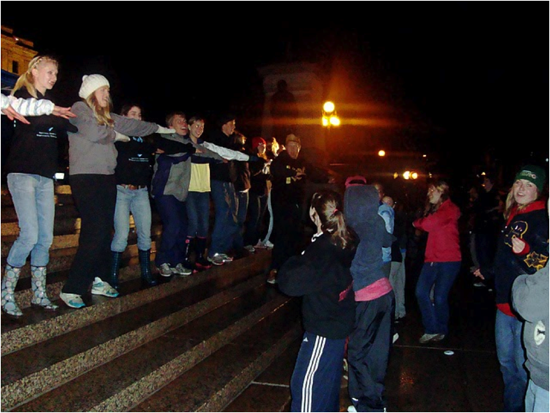 Participants spend a night 'on the street', simulating a night of homelessness on the streets. Speakers raise awareness about the problem of youth homelessness. 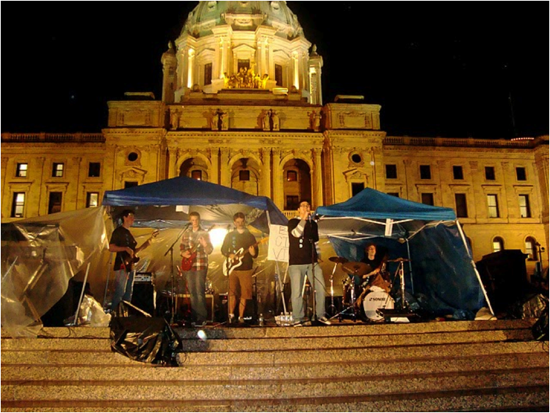 The crowd camping on the Capitol lawn reminds state officials that there are many Minnesotans concerned about youth homelessness. Fundraising raises money to help the homeless. Food and fun, in the form of live entertainment, keeps kids engaged and involved. By any measure Box City Vigil has been a resounding success. Attendance in recent years has grown to nearly 300 high school students. Funds raised are in the tens of thousands of dollars. Many hundreds of high school students have had the learning experience of planning a major event and felt the gratification of making a difference in the world. BUY supports Box City Vigil for many reasons. It is BUY’s role in the community to encourage student initiated activities and help them be successful. Youth homelessness is a statewide problem – even in Bloomington. 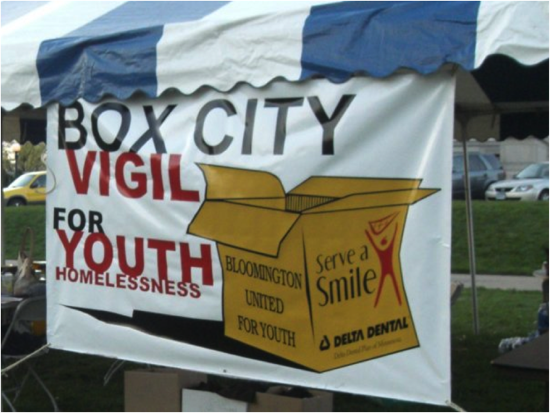 Having students organize and lead the Box City Vigil provides a meaningful and worthwhile opportunity for youth to use their talents. Click Here to Visit Box City Official! ©2019 Bloomington United For Youth / SportsEngine. All Rights Reserved.